Since 2002, a new research theme has been developed for study of ice and snow over boreal regions. This initiative has been led mainly by Alexei Kouraev, and Nelly Mognard-Campbell who has joined the team recently. The studies have shown that simultaneously using active and passive microwave observations (altimetry and radiometry) can offer new possibilities for detecting sea and lake ice. The method was applied in studying the dates of ice formation, ice melting and the extent of sea ice in Central Asia over the last decade (Caspian Sea and Aral Sea). Analysis of Topex/Poseidon altimetry data and SSM/I radiometry data revealed marked variations in sea ice and snowfall conditions over these two seas, on both seasonal and interannual time scale (Kouraev et al., 2003, 2004a, 2004b). 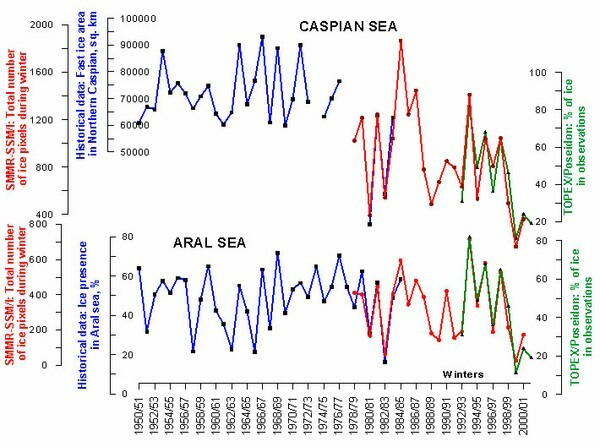 A key discovery is that the frost period over the Aral and Caspian seas was significantly shorter at the end of the 1990s than during the previous decades. 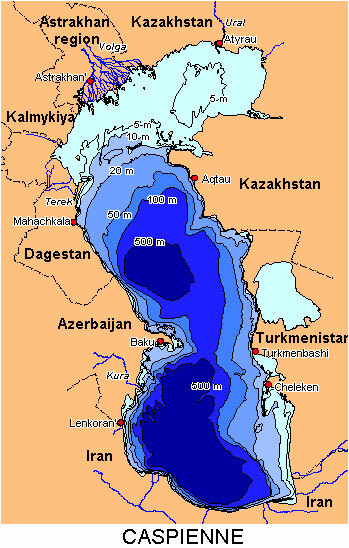 Despite the strong influence of human activities on the Aral Sea (considerable decrease in water volume leading to lower thermal storage and higher salt content), variations in ice extent were similar for the two seas. This suggests that regional climate has a significant influence on these terrestrial water bodies. The team is currently extending this method to all lakes subject to frost periods (Northern Europe, Patagonia and Siberia), to monitor their ice and snow parameters continuously. This information will be useful for estimating the regional hydrological balance (since these parameters influence energy exchanges with the atmosphere). They also serve as climate indicators on a multi-year time scale. This research is being carried out in cooperation with the LEGOS "cryosphere" team and other foreign institutes, primarily Russian (INTAS, NATO and ECOnet projects) and Chilean (ECOsud project). 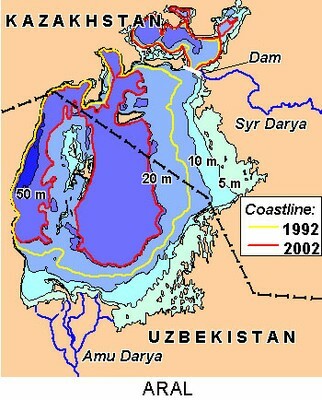 Figure 1 : Ice cover on the Caspian Sea and Aral Sea based on in situ data (in blue) and satellite data from SSM/I and SSMR (in red) and Topex/Poseidon (in green).